It may be time for Iowa Republicans to sound the alarm bells. Fundraising totals just posted today for Iowa’s latest reporting period show Democrats destroying their GOP counterparts in every single competitive statewide race. All told, Democrats’ statewide candidates raised a combined $2,866,382 to Republicans’ $1,250,516. However, largely thanks to Governor Kim Reynolds’ war chest, Republicans still have a combined cash-on-hand advantage in those same races: $4,015,141 to Democrats’ $2,700,608. This latest report covered the six weeks after the June 5 primary. Fred Hubbell led the way with an eye-popping $2.6 million raised. Unlike in some past finance reports, all of that money was brought in from individuals and PACs. None came from the candidate or his wife’s own wealth. 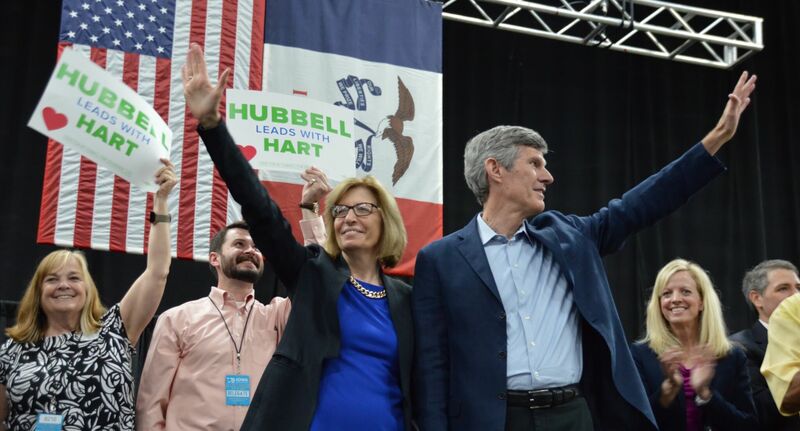 That’s noteworthy, as it shows a real sense of momentum and investment from donors in Iowa and around the country in Hubbell’s candidacy. And Hubbell himself could still dump more of his personal money into the race at any point if he so chose. There’s a reason that several national political prediction websites have moved the Iowa governor’s race to toss-up, and Hubbell’s fundraising advantage is a big part of that. Hubbell has also now raised $9.5 million in all for his candidacy. Terry Branstad set the Iowa record for fundraising with $9.6 million in his 2014 campaign. Hubbell will clearly blow past that by the time all this is over. In the three down-ballot statewide races that are seen as competitive, Democrats out-raised each Republican incumbent. Both Secretary of State Paul Pate and State Auditor Mary Mosiman posted particularly meager finance reports. State Treasurer Mike Fitzgerald was the only Democrat to see their Republican opponent raise more money, but that race is seen as a safe hold for Democrats (and Fitzgerald has much more cash-on-hand). Republicans rarely have issues with putting together a lot of money in a short amount of time, so there’s still enough months before the election for them to rebound. But in a year when the governor’s race will take up most of the oxygen (and funds), down-ballot statewides like Pate and Mosiman can’t count on the party bailing them out at the end. Pate is in a better position with his cash-on-hand and ability to self-fund (he’s put $100,000 of his own money in to his campaign several times). Deidre DeJear, as one of just four statewide Democratic African American candidates in the entire country this year, has some unique outlets to raise national funds from. 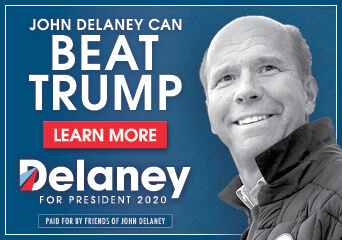 She’s still refilling her coffers from her narrow win in the primary, and may be able to catch up to Pate’s cash-on-hand faster than he’d like. Mosiman, however, is entering very dangerous territory in her matchup against former Assistant Attorney General Rob Sand. In an office that doesn’t always get a lot of attention from voters, the candidate with more funds to get on TV and in people’s mailboxes should have the upper hand. 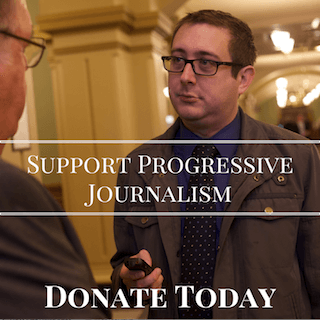 Add to that Sand’s aggressive messaging on his prosecutorial background and criticism of mismanaged state money, and Mosiman is looking like the most endangered incumbent Republican in Iowa. Tim Gannon’s secretary of agriculture campaign is also starting to really ramp up. His earlier fundraising totals were okay, but this is the first report where he looks like a real contender to win back the state’s top agriculture job. After Democrats lost three elections in a row to Bill Northey, some Iowa political watchers have assumed that the secretary of agriculture position defaults to Republicans. But Reynolds’ appointed director Mike Naig just barely emerged out of a contested convention last month, and his fundraising looks weak so far in what is typically an easy race for Republicans to raise money in. This is not a race to sleep on this year. Starting Line will have a more in-depth look at some of these numbers and the legislative fundraising totals in a few days, but the initial outlook looks very positive for Democrats. Just a little over a year after it was questionable whether Iowa was heading toward permanent red state status, it is now a real possibility that Democrats pull off a full sweep of the statewide offices. NEXT POST Next post: Is Iowa’s Water Quality Nearing A Public Health Emergency? I hate to say “I told you so” but…I told you so. Iowa’s travels down the rabbit hole of Wisconsin and Kansas is coming home to nest. Did we not tell you this would happen? Did we not point to failed state experiments by our next-door neighbors? Does not history educate and inform in matters of state fiscal responsibility and governance? 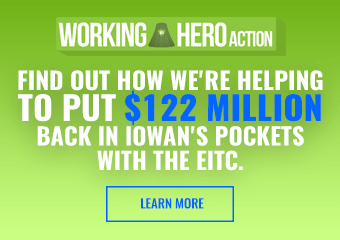 Iowans, study the facts and vote your economic best interests! We can’t afford to bankrupt of state coffers with schemes of privatization. It hasn’t worked. It doesn’t work. It will not work.